The window button locations are dictated by a configuration file. 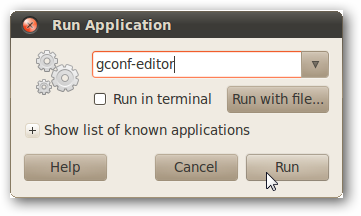 We’ll use the graphical program gconf-editor to change this configuration file. 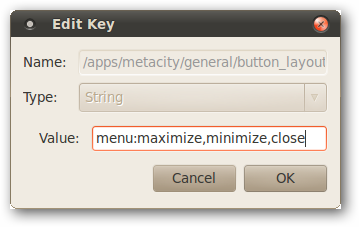 The key that we want to edit is in apps/metacity/general. 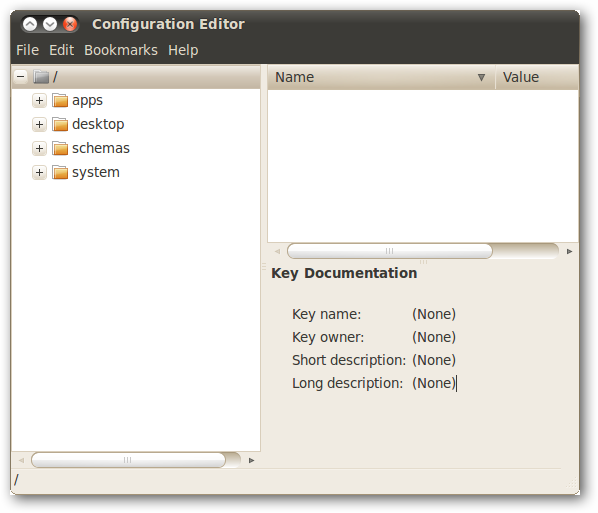 The button layout can be changed by changing the “button_layout” key. Double-click button_layout to edit it. 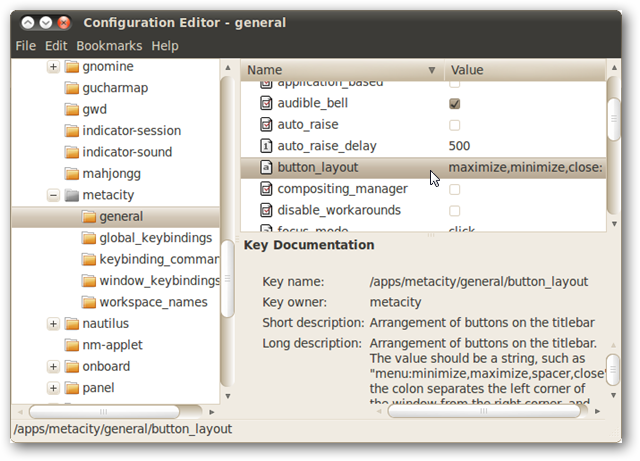 Click OK and the change will occur immediately, changing the location of the window buttons in the Configuration Editor. 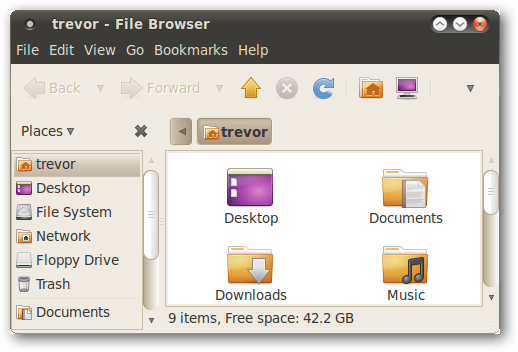 Note that this ordering of the window buttons is slightly different than the typical order; in previous versions of Ubuntu and in Windows, the minimize button is to the left of the maximize button. 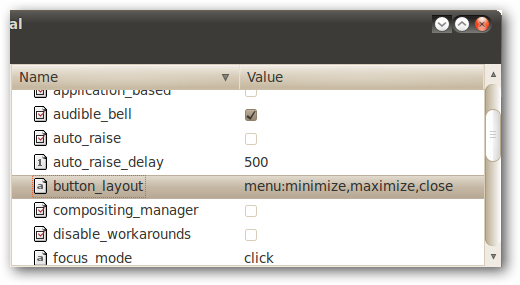 You can change the button_layout string to reflect that ordering, but using the default Ubuntu 10.04 theme, it looks a bit strange. If you plan to change the theme, or even just the graphics used for the window buttons, then this ordering may be more natural to you. After this change, all of your windows will have the maximize, minimize, and close buttons on the right. 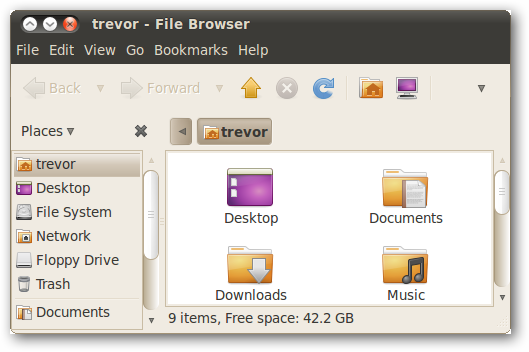 What do you think of Ubuntu 10.04’s visual change? Let us know in the comments!